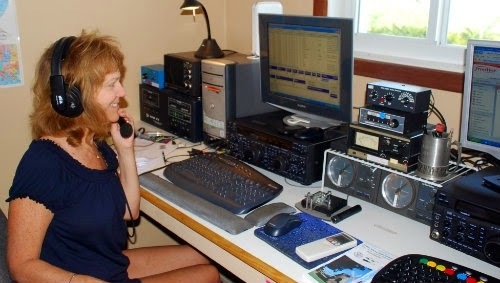 Ham Radio is a high-tech hobby that can be fun for anyone. Amateur Radio operators are people from all walks of life--no matter what age, gender or physical ability. Getting started in Amateur Radio has never been easier! You can usually find an amateur radio class in your area sponsored by friendly volunteers who will help you learn the ropes. And, knowledge of the Morse Code is NO LONGER required. There are many area clubs/groups here in Upstate NY that do training and VE license exams on a fairly regular basis. Check out the list of Upstate NY clubs by scrolling down on the right side toolbar on our website(www.UpstateHam.com). The Liverpool Amateur Repeater Club conducts VE test sessions on the 4th Thursday of each month (except July & August) at the North Syracuse Community Center. Testing starts at 5:30pm. Walk-ins are welcome. All exam elements are offered. If you plan to attend please bring two ID’s (one photo), a copy of your license or CSCE if you have one, and a black pen. next level at no charge. Any re-takes cost another $15. Calculators are permitted. Cell phone/Smartphone calculator apps are not allowed. Contact Al May with any questions at 633-9280(before 9pm) or wa2kfv@w2cm.com. The Albany/Troy VE Team (ATVET) is a joint effort of the Albany Amateur Radio Association (AARA), and the Troy Amateur Radio Association (TARA). 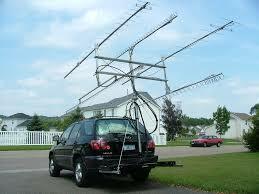 We are affiliated with the ARRL/VEC, and have been proud to provide testing opportunities since 1984. If you have any questions, please feel free to phone (evenings and weekends) at 518-482-8700, or e-mail me at atvet@n2ty.org. Binghamton/Broome County: If anyone wants VE testing in the Broome county region, VE sessions are held the last Monday of each month at 7:00 PM at the Vestal Public Library, 320 Vestal Parkway East (Route 434) except when the Library is closed. Contact Norman wb2syq@gmail.com for details. There is no test session in July; in May the test is the Monday before memorial day. 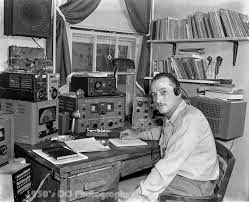 - The Bear Bait Radio Club (Syracuse) is conducts Amateur Radio Technician Classes and VE test sessions at the Clay Highway Building at 4483 RT. 31, Clay NY. Next Technician class will will be April., 27-28, 2019, 8am-5pm at the Clay Highway Building at 4483 RT 31 in Clay. No charge for the class, open VE testing will be held immediately after the last class. Contact Scott WA2DTN at 315.247. 8525 to register. The East Greenbush Amateur Radio Association will sponsor an FCC amateur license exam session in January at the East Greenbush Community Library. The date is to be announced. - Keuka Lake ARA will be holding VE exam sessions in Bath NY for 2017. - Ontario County - Squaw Island ARC (SIARC) and Ontario County ARES/RACES Volunteer Examiner Team is proud to be a part of the Laurel-VEC and holds Amateur Radio Exam Sessions on the 2nd Wednesday of every other month (see schedule below).Walk-in applicants are welcome and the site is handicapped accessible. We would be happy to schedule special group exam sessions to accommodate amateur radio classes. Please Visit :http://www.siarc.us/vec/vec.html for more information and directions to the testing facility. Ithaca NY, Tompkins County Amateur Radio Assoc. (TCARA)- 2018-19 VE Exams, (see web-site) at the Tompkins County Department of Emergency Response, 92 Brown Road, near the Ithaca Airport. November 26, 2018 Monday 7:00pm at Department of Emergency Response (DOER) 92 Brown rd. Lansing NY. Please bring signed copy of license if you have one, social security number or FRN if you don't.